Die hard truck enthusiasts all over the United States make it a point to pack up their coolers, families, kids, and dogs and get on the road in their awesome 4x4 custom trucks or haul their custom builds to the Daytona Truck Meet 2019. 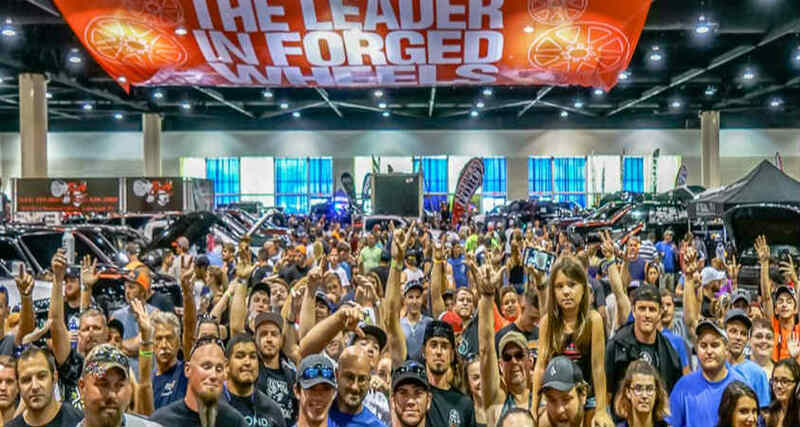 Every year, thousands of truck and Jeep enthusiasts from all over the US gather for this phenomenal custom 4x4 truck meet put on by some of the biggest names in the 4x4 custom truck parts industry, like one of the #1 show promoters American Force Wheels. American Force Wheels is an aftermarket manufacturer of custom wheels. They cater to the custom truck and Jeep industry with tough looking, built to last, and custom designed full metal wheels sure to catch an eye and tough enough for any crazy adventure you take them on. American Force Wheels has the honor of being the first aftermarket wheel manufacturer to design two piece wheels specifically for big, bad custom 4X4 trucks. These masterfully built two piece wheels are every custom truck enthusiast’s dream. With the ability to powder coat each piece separately, along with its 30 ARP bolts, each of which can be their own custom color, the possibilities of a unique look are endless. This, along with their nearly invincible 11mm thick barrel gives you a mean look made to handle the high forces generated in a lifted truck. In the grain of custom wheels, make sure to check out Specialty Forged, as well. Crafted for enthusiasts by enthusiasts, Specialty Forged is another aftermarket custom wheel brand catering to the lifted, custom, 4X4 truck and SUV industry. They offer custom designs, along with product lines ranging from concave or flat faced monoblock, to 2 or 3 piece welded or bolted designs. All of their products are made with 6061-T6 aluminum for bullet proof strength and have an awesome, modern, aggressive look. If you’re still needing a lift kit and upgraded suspension before you go down to any event on custom wheels from Specialty Forged or American Force, have a look at Skyjacker or Fabtech suspension. Both are amazing brands, offering unmatchable quality in aftermarket suspension systems. Skyjacker offers everything from basic, hydraulic shock upgrades, to top of the line, all inclusive lift kits complete from 3 to 8 inch lifts with their amazing, built-to-suit M95 Monotube shock absorbers, and everything in between. Their kits are built to suit your vehicle with limited modification and can come with any level of shock absorber they offer. For even more customization, they offer a full range of components from steering stabilizers and pitman arms, to custom coils and leaf springs. Fabtech specializes in shock absorber technology that keeps the gases separate from the oil in the shock. Their claim is that this reduces fade in the shock’s stability. Fabtech offers in-depth, all inclusive suspension kits that are specifically designed for your model of vehicle and desired application. You can get anything from a basic, spacer dependent, lift kit, to a performance tuned, custom built kit ready for the trail or hitting the streets. Every piece of every kit is designed and built in house to offer supreme ride comfort and work with the OEM factory suspension computers to remain compliant with national safety standards. Once you’re lifted and rolling on sweet wheels, You’ll need a bumper or two to complete the look. Go no further than Fab Fours. Their bumpers are all built in their vertically integrated manufacturing plant in Lancaster, South Carolina. This allows them to keep quality assurance in check, and ensure that each custom built piece will fit directly on your factory vehicle with little to no modification required. Their bumpers range from 14 gauge steel in their ranch-style Steel bumper line to 3/16” or 7 gauge steel in their flagship Premium line. For all your other needs, Rolling Big Power offers a wide range of custom 4X4 truck parts and accessories to match your sweet build. They offer everything from lift kits and suspension components to custom accessories. Each piece is designed for superior off-road performance, and an aesthetic that follows trend, style, and awesomeness. Their Max Lift kits can go to whole 13 inches of ground clearing, eye catching, coil over shock performance, without losing your ability to tow. Now that you have your look down, it’s time to get that motor and exhaust screaming. BD Diesel offers everything you could ever imagine in aftermarket diesel or gas performance parts. They have the honor of being the first brand to offer a diesel exhaust brake in 1989 which led to them becoming a leading name in aftermarket diesel performance with a reputation for advanced design and consistent quality. They have specialty departments for turbocharging, fuel injection calibration and optimization, transmission and torque converter enhancement, and state-of-the-art electronic circuit design and assembly for the new wave of computer dependent motors. All of these brands represent the quality we strive to bring to our store, and each of them is a great place to start on your journey to build a big, bad, custom 4X4 truck. 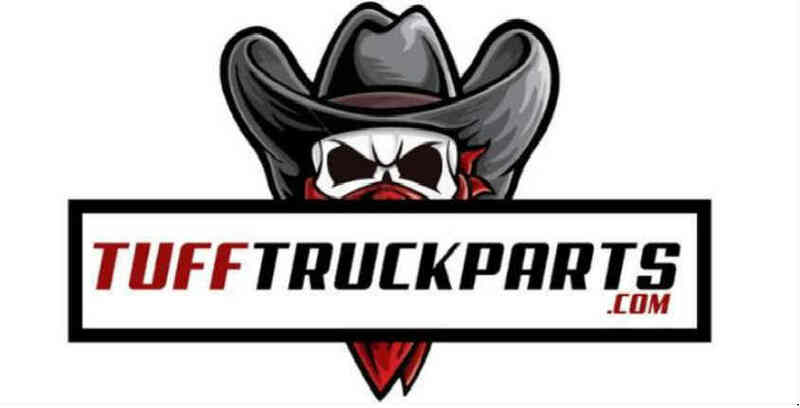 TuffTruckParts earned their reputation by being the Number # 1 rated company on google for "CustomTruck Parts" . Bringing the absolute best custom parts to you and helping thousands of loyal truck and jeep enthusiasts build out their custom rides for over 20 years. Visit TuffTruckParts.com and contact us to discuss your custom build today.